This Week in STEM history: did you know that Edison was NOT the first to invent the electric light bulb? Joseph Swan was a competitor of Thomas Edison before the two rivals from either side of the Atlantic combined their efforts (Edison's punishment by the court) and created the company Ediswan. The photo to the right is Swan's version of the Carbon filament lamp. Note the blackness in the bulb... it was Edison who figured out how to eliminate it. Edison, who patented his bulb in 1879, merely improved on a design that British inventor Joseph Swan had patented 10 years earlier. Swan sued Edison for patent infringement, and the British courts ruled against Edison (as punishment, Edison had to make Swan a partner in his electric company). Even the U.S. Patent Office decided in 1883 that Edison’s patent was invalid, as it also duplicated the work of another American inventor. As it happens, Swan and Edison worked from bulb designs that had been in use since the early 1800s. The general principle was, and still is, this: When electrical current flows through the bulb’s filament, the filament heats up and glows, which produces light. The inside of the bulb is a vacuum, hence oxygen-free, so the filament doesn’t get oxidized and the glow lasts a long time. Swan used a carbonized paper filament, but the poor quality of the vacuum in the bulb caused the carbon to disintegrate rapidly, so the bulb glowed for just 13-and-a-half hours. Edison used a better vacuum pump, and after he and his posse of assistants had tested thousands of materials, he made a filament derived from bamboo that lasted up to 1,200 hours. Today’s incandescent bulbs, in which the filament is made of tungsten, last about 1,500 hours. The first electric light was made in 1800 by Humphry Davy, an English scientist. He experimented with electricity and invented an electric battery. When he connected wires to his battery and a piece of carbon, the carbon glowed, producing light. This is called an electric arc. In 1877, the American Charles Francis Brush manufactured some carbon arcs to light a public square in Cleveland, Ohio, USA. These arcs were used on a few streets, in a few large office buildings, and even some stores. Electric lights were only used by a few people. Lewis Howard Latimer (1848-1928) improved the bulb by inventing a carbon filament (patented in 1881); Latimer was a member of Edison's research team, which was called "Edison's Pioneers." In 1882, Latimer developed and patented a method of manufacturing his carbon filaments. THIS WEEK IN STEM HISTORY: happy birthday Rube Goldberg! Wait.... who is Rube Goldberg? A Pulitzer Prize winner, Rube Goldberg is best known as an illustrator, creating a series of popular cartoons depicting complicated gadgets that perform simple tasks in indirect, convoluted ways, giving rise to the term Rube Goldberg machines for any similar gadget or process. Having received his degree from UC Berkeley in Engineering, Rube's mechanical mind can be seen through his entire life's work. At the dawn of the industrial revolution, when modern appliances, gizmos, and gadgets were primed to change our lives for the better, Rube’s work struck a nerve with the American public as he cast his satirical eye on the machine age. The inventions that made Rube Goldberg a household name were rendered in the exact style of US Patent applications with each transfer of energy annotated by a letter so that the reader could follow the chain reaction sequence. Rube’s inventions were designed to work, but drawn for laughs. He set every day objects in motion, along with anthropomorphic animals, bugs and birds, and an array of oddly distinguished humans to complete the task at hand. Rub Goldberg Challenges are popular all over the world. Even Knowledge to Grow On has a Rube Goldberg engineering challenge program! ...also click here to enjoy this scene from Chitty Chitty Bang Bang to see the Rube Goldberg inspired breakfast contraption made by inventor Caractacus Potts! On June 26, 1927, one of the oldest wooden (still working) roller coasters in America opend for the first time in New York City's premier amusement park, Coney Island. Like other older coasters, the Cyclone is made with wooden planks and held together by trusses, which are diagonally supporting beams forming a triangular shape. The ride itself is thrilling, holding the rider in their seat with gravitational and centripetal forces. After all these years it is still the second steepest roller coaster in the world and has 2,640 feet of track and 12 drops. Today, Engineers use software design programs to test and retest their designs for structural integrity. Mechanical engineers design the loops and drops that roller-coasters are famous for. They can also design everything from the coaches to the nuts and bolts of a new ride. Structural engineers oversee the structural aspects of design. Civil engineers conceive, design, build, supervise, operate, construct, and maintain the infrastructure to ensure our safety. You might recognize the name, but who exactly was Jacques-Yves Cousteau? Do you know why is he an important figure in STEM history? Jacques-Yves Cousteau was a French naval officer, oceanographer, marine biologist and ocean explorer, known for his extensive underseas investigations. He was co-inventor of the aqualung which made SCUBA diving possible (1943). Cousteau also developed the Conshelf series of manned habitats, the Diving Saucer, a process of underwater television and numerous other platforms as well as specialized instruments of ocean science. In 1945 Cousteau founded the French Navy's Undersea Research Group. and in 1950, he modified a WWII wooden hull British Yard Minesweeper into the research vessel named Calypso. This became his laboratory until 1996. Calypso carried advanced equipment, including one- and two-man mini submarines developed by Cousteau, diving saucers and underwater scooters. The ship was also fitted with a see-through "nose" and an observation chamber to observe below the waterline, and was modified to house scientific equipment and a helicopter pad. The Calypso underwater camera (also concieved by Cousteau) was named after this ship. 1942 until his death he produced hundreds of documentaries and starred in several television series that were shown all over the world. He was an inspiration to millions with his underwater adventures and philanthropic spirit. Not a religious man, but he is often quoted regarding what he had witnessed in the waters as being evidence of the existence of God. Recognize these people? See below and find out how Enterprise got it's name! Among it's many missions, albeit none of which were out of this world, the Space Shuttle Enterprise was very busy performing the first ALT (approach and landing tests) and Mated Vertical Ground Vibration Testing (MGVT). In addition to many other roles it played for NASA through the years, including three planned orbital missions that never came into fruition, Enterprise eventually retired in November, 1985 and moved to it's new home at the Smithsonian Air & Space Museum in Washington DC. After the Challenger disaster in 1986, NASA considered replacing it with a renovated Enterprise but opted to use spare parts from Discovery and Atlantis to build Endeavor instead. Finally, Enterprise had one more mission in 2003: after the Columbia did not return home, disintegrating upon re-entry during it's 28th and last mission, the Enterprise was called upon again. The shuttle's wing was used for several types of impact tests which ultimately assisted in discovering the probably cause of the accident. Is it a coincidence that the Space Shuttle Enterprise has the same name as a popular fandom's space ship? 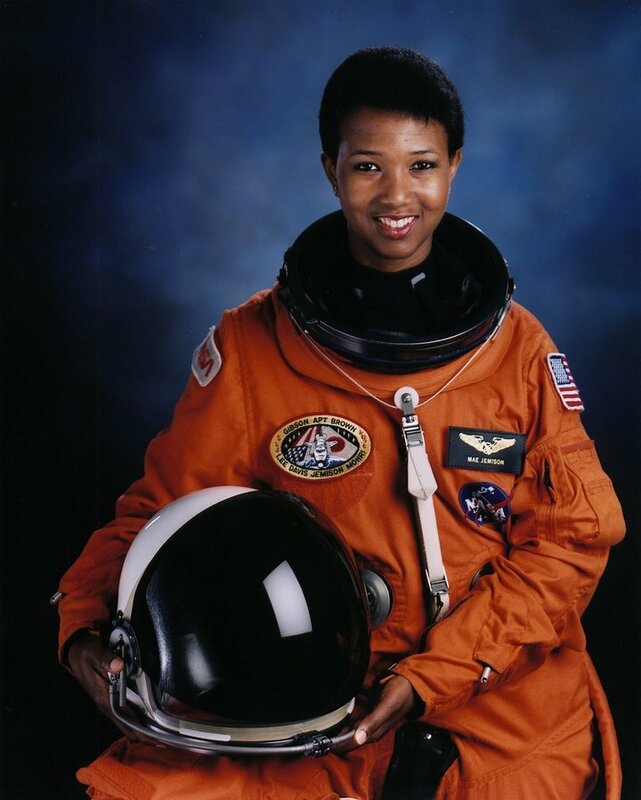 As the first African-American woman in space, Mae Jemison orbited the Earth on the Space Shuttle Endeavor on September 12, 1992. Since then she continues to inspire a new generation of not only Girls in STEM, but children of all ages and backgrounds. 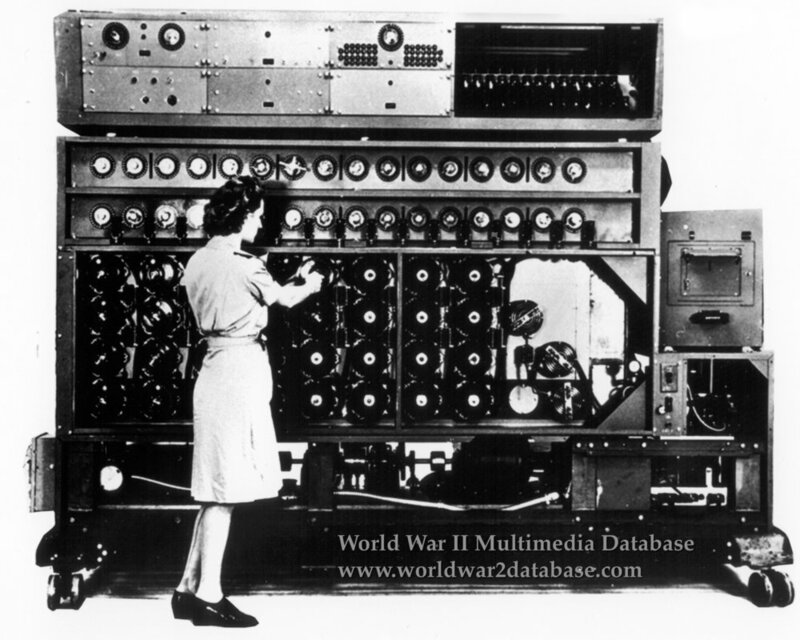 The Bombe machine in the photograph above, was designed by Turing at Beltchly Park in England, during the early part of WWII. It's an electro-mechanical device used by British cytologists to help decipher German Enigma-machine's encrypted secret messages. Winston Churchill stated that Alan Turing's breaking of the Enigma Code shortened WWII by 2-4 years, possibly saving 14-21 million lives! Most of us know that regular exercise is good for our bodies. Many also know that exercising our brains is just as important to maintain optimal cognitive functioning as well as continue the ability to consistently learn. But did you also know that physical exercise is good for our brains?. This Harvard Medical School article, explains that moderate exercise not only decreases anxiety and stress, along with improving mood and sleep, but it also improves overall thinking skills and memory. In an effort to promote holistic enrichment, Knowledge to Grow On, offers custom fitness workshops and often inserts physical activity into our general programming. We not only live by our motto, 'because we never stop learning,' we also never stop moving! THIS WEEK IN STEM HISTORY! To the left you'll see Amelia Earhart who on May 21, 1932 landed in Ireland to become the first woman to have flown solo across the Atlantic. 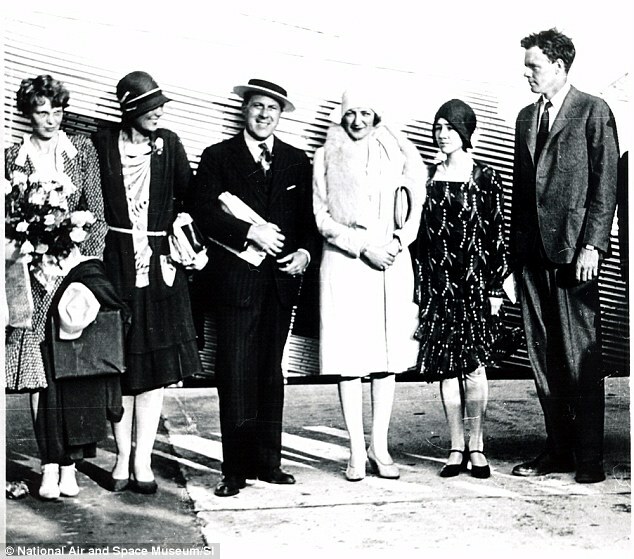 Ironically, 3 years prior on May 21, 1929, Aviator Charles Lindbergh (on the far right) was the first man to do so, landing in Paris, France. 110 Years Ago Today in STEM History! May 14, 1908: Wilbur Wright flew with the first airplane passenger, Charles Furnas, in North Carolina. Furnas was the Wright brothers' mechanic. He is also a distant cousin of Randall Furnas, the director of NASA Glenn's Office of Strategic Management. The only surviving photo of the Wright brothers' first two-man Flyer. Learn more about the history of flight and how airplanes fly with Knowledge to Grow On! Create your own flying machine prototype just like the Wright Brothers! Test your invention in our wind tube during one of our STEM workshops! Where did the puzzle piece come from? 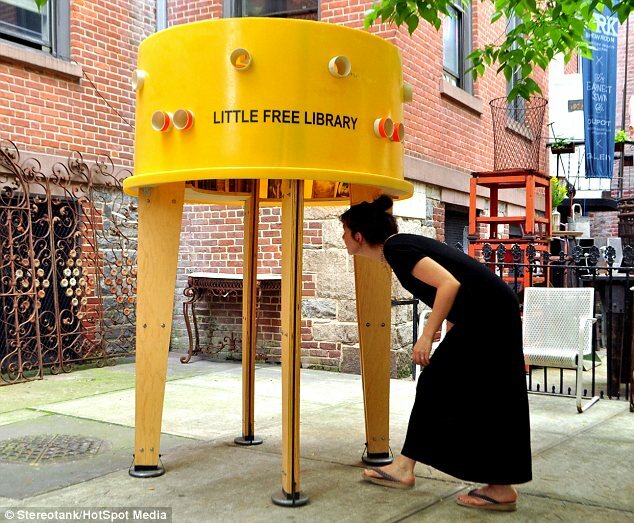 First Celebrated in 1958, this year's theme is "Libraries Lead"
Did you know that the World's Smallest Library is right here in New York City??!!! 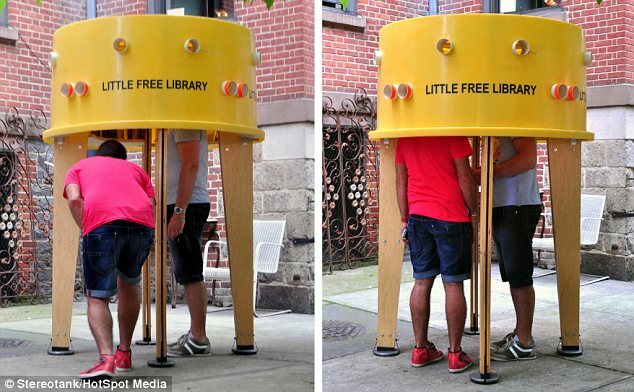 The smallest library in the world has appeared on the streets of New York City - and it has space for just one reader at a time. 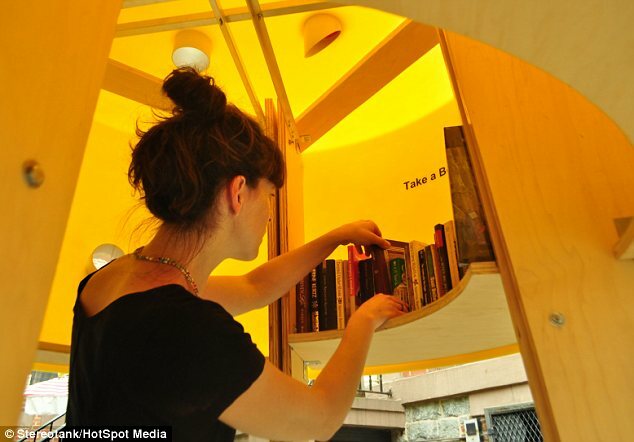 The bright yellow plastic structure houses 40 books and aims to help city-dwellers take a break from the pace of life in the metropolis by chilling out with a good story. The Little Free Library was designed by a pair of innovative architects using recycled materials to protect the books inside from the elements. Be a part of Know 2 Grow History! ... and win a free program! Like our new friends Aaron Kershaw and Anthony Trama you can vote by commenting on one of our social media pages or here to choose which logo Know 2 Grow should use! Win a free class or workshop for an individual or a $50 discount for a group program! "I like the Winnie the Pooh feel"
"I like how it has a classic feel"
"Lovely, warm hand drawing. It fits the company"
"looks like a tree filled with knowledge"
Launching means more than just blasting off into space! National Pi Day is a great day to open up our Facebook page! What? You've never heard of National Pi Day? Albert Einstein (whose birthday is also today) would be very disappointed! What? You've never heard of Knowledge to Grow On? Well, look around and see who we are and what we do! If you want to learn more about the significance of the number π and how it helped us with space exploration, we will be at the 4th Annual Chappaqua STEM Fest March 24th at Bell Middle School launching our MATH IN MOTION space program! You have to KNOW 2 GROW! But... starting in March, we will post educational tips, fun facts, and a new resource of the week! It might be a link, a book (we still like those) or a general recommendation along with important notices of new events or programs we or our partners are offering at a fun place near you! Once in awhile we might have a contest or a fun trivia question. Maybe THE TEAM took the day off to go see the newest Avenger movie and we want to share with you how Iron Man's new suit flies at Mach 3.3 which is the same speed as the A-12 supersonic spy planes built by the CIA! Or maybe we will share a cool photo because a new friend came to play with us during one of our programs and created something amazing or beautiful! So come back each week, or follow us on Facebook, Instagram or Twitter to see what's going on!